Google Merchant Center is where Google wants you to upload product data. This is where your products appear on Google Shopping and Google's eCommerce properties. In fact, all the products you see when you do a Google Shopping search were uploaded using the Google Merchant Center. You can also upload information about your eCommerce store. Also, you can maintain each product listing in Google Merchant Center. Those products are seen by users in Google Shopping search results. Also, they show with organic listings on Google’s main search results pages. Product Ads (or Product Listing Ads) determine (and can increase) the visibility of your products. They feature images, customer ratings, and prices so they stand out from other results. Google Shopping lets consumers search and compare products. It also shows users where they can buy products and for what price. That said, it is connected to Google’s main search pages. When a user searches for a product related keyword, they will see Product Ads. This is in addition to normal text ads and organic results. As a seller, this is a significant opportunity because of the number of people that search on Google. By using Google Merchant Center and Google Shopping, you can increase sales by attracting potential buyers to your website. Google Shopping is available in Australia, Austria, Belgium, Brazil, Canada, the Czech Republic, Denmark, France, Germany, Italy, Japan, Mexico, Norway, Poland, the Netherlands, Russia, Spain, Sweden, Switzerland, Turkey, the United Kingdom, and the United States. What Are Google Product Ads? Google Product Ads work in a similar way to PPC (Pay-Per-Click) ads on Google's main search pages. They give you an opportunity to increase the visibility of your products. You pay for them to appear in more prominent positions on a Google Shopping or search results page. For example, at the top of the page. When your products are more visible, you should get more clicks from potential buyers. This can result in increased sales. You will need a Google account to access Google Merchant Center. If you already have an account (such as a Gmail account or a Google My Business account) you can use it. The next step is to update your store information. Then, check that your product feed meets Google's feed specification. Some of the attributes you must include for each product in your data feed are a unique product ID, title, a link to the product on your website, the price, a link to an image for the product, and a description. Once you have your feed set up, you can submit it to Google Merchant Center. DataFeedWatch can help you optimize this process. You must submit your data feed every month. Although, you should do it more often if the data in your feed changes. This includes when you add new products, remove old products, items go out of stock, prices change, etc. You can update your feed as often as four times a day. To create Product Ads, you will need to link your Google Merchant Center account with your Google AdWords account. Having your products on Google’s eCommerce properties can get them in front of a wider audience and lead to more sales. Includes product and merchant reviews. This can help build trust with potential buyers. Generates more traffic to your website. Integrates with Google My Business to increase your visibility in local search results. Provides useful analytics that can help you improve listings and your marketing strategy. Without Google Merchant Center, your products will not appear in Google Shopping. Also, you cannot create Product Ads unless you upload your product data feed. 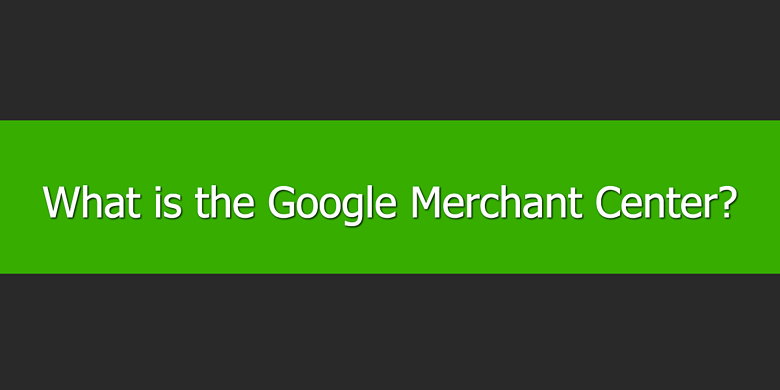 If you sell products directly to consumers, Google Merchant Center is one of the tools you need. This should be an integral part of your overall digital marketing strategy. It is easy to use and can deliver significant tangible results.